Heather is a retired research chemist. Her mother often told stories about her Nova Scotian family but it was Heather’s father’s less-well-known Carleton County family that peaked her genealogical interest. She is still tracing the family in Canada and Ireland. 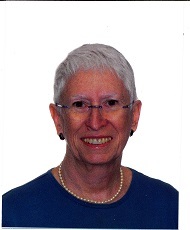 She has been a genealogist since 1970 and is a prolific writer, providing articles for The Society’s Families, BIFHSGO, and her local Lambton County Branch of The Society. Heather believes that OGS should be the focus of genealogical research in Ontario. Enhancing the value of membership in The Society, becoming more entrepreneurial in building income to fund genealogical data collection and digitization projects, and communicating on a personal but professional level with members, are ways to achieve this status. Heather lives in Point Edward, Ontario.